Discover the secrets of the next Magic release in Morningtide! Hunted by his own people and fleeing a pastoral world gone mad, Rhys must struggle not only to solve the mystery behind his master's cryptic suicide, but also to survive. 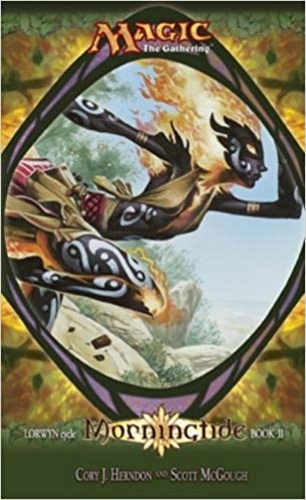 Respected Magic: The Gathering authors Scott McGough and Cory J. Herndon collaborate on Magic: The Gathering books for the first time in this exciting new series of betrayal and honor in an unforgiving wilderness. As with previous Magic titles, Morningtide gives readers a sneak peak at what will be coming out in the next Magic: The Gathering set.